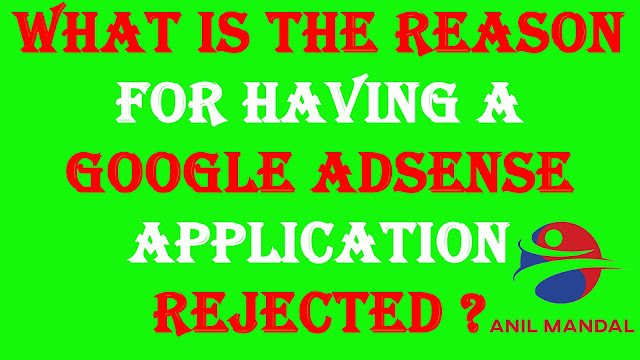 Google AdSense Why Google Adsense Application Rejected ? Hello friends How are you guys? Friends in this post today, I am about to tell you why your AdSense application is repeatedly rejected. Many people blogging with their friends, they are dreaming and their friends will get the Adsense approval soon in their blogs. Upon receiving it quickly, when he submits the application to the AdSense, his application is repeatedly rejected. What is the reason for this? 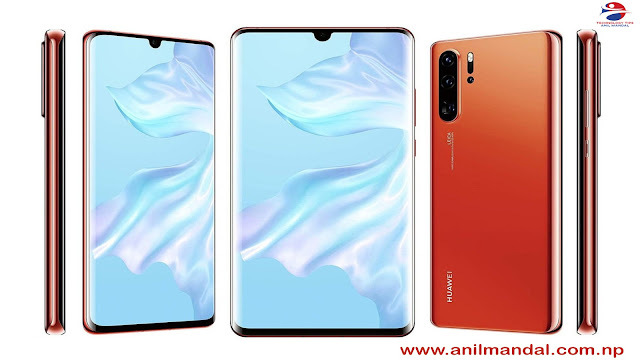 In today's post, in this post, I am going to tell you in detail that why this is the reason why it is not possible and why you can not apply it, so let us know people and know all about friends You stay with us. What is the reason for having a Google Adsense application rejected? Friends, if you like this article, if you are a friend, please tell me clearly, then friends, first of all, I want to tell you that every blogger has this dream that he has a new Hosted Adsense account and this is not an easy thing. It was the first time that blog post.com did not allow you to get your Adsense account approved, but now it happens. Friends, you will have to take a top-level domain right then, first of all, you have to take your top-level domain whether you take it with go daddy or if there is a lot of online websites where you provide the domain. Like it, and accordingly take one for yourself, this is the first thing that happens to friends. After that, what will happen to your friends, that you have to keep in mind that you do not copy any post properly, do not copy it if you copy? Friends have seen much that the Adsense Reject of many people becomes so that they copy anyone and publicize the post in their blog and after that take photos from Google and put them in their block So friends, have you thought that Google is such a big bully that he will accept any of your posts, maybe you will not know Friends, when you submit applications for Google Adsense, you are told that you have to stop for 3 days. It is okay or to say that your application is under review for 3 days, then you have ever thought that your application Why have they put it in the review for 3 days, then I tell you to put your application in the review for 3 days Friends, they were able to check your blog well enough to see that there is no content or post or photo image that has been copied in any of your blogs, if friends are any copy of what happened in your blog. If the material is found then your blog can't get approval There are so many bloggers in the time of their friends who copy and paste the content of anyone and publish them in their blog. They think that Google will allow this but nothing happens. Friends, in any case, people will not do this. I want to tell you guys that you do not copy anyone, publish your own article in your blog. And friends, I want to tell you one more thing about friends in your blog About us page policy page Contact us page This page is very important. You must definitely place this three page in your blog or website and you write it in the same Which is related to your blog, whatever you do in your block, write about it well about it and friends around you, you must have social media link like Facebook Google Plus Twitter Instagram All you need to do is find and contact I must give my email ID. What will happen to friends, when your visitors come to them, when they do not understand anything, then the direct mail will be mailed to your email ID and you will be able to solve the problem of direct liability. What happens to it That your visitor will be happy and come to your blog every day and every day something will not grow or something will happen. Friends, what will happen to your friends that your blog traffic will also increase Friends, if your blog is just new then you have to stay for a few days unless you publish the 20 -25 article in your blog, then you have to wait less Less than after publishing more than 25 articles in your blog, apply for Google Adsense Google Adsense has never said that your blog should have traffic Or your blog should be viewable if your blog has more views Friends, you get approval as soon as possible If the view in your blog is low then you have to wait for at least 15 to 20 days. If someone's luck is very good, then he gets Google Adsense Account approval within 24 hours. Friends, I want to tell you one more thing if your blog does not have traffic, then you can share your article gender on your social media like Facebook can share on Twitter on Google Plus. Friends, we can tell that the number of people who use Facebook such other people do not use Google, that is, to say that Google's search bar Do not search in d when they are needed Only friends search if you have a topic match. Friends, your post will come in front of them, then they will come to your blog or website. Friends, if you share on Facebook, more and more people will see if they like it. Then friends can click on your link and direct your blog or website. What will happen to this visit to friends that the traffic of your blog will increase a lot and you will get the approval for Adsense as soon as possible and you The backlink is going to become very important for your blog? Friends, the website or blog behind which the backlink is high, those websites or blogs come very fast on Google's first page. Now the friends talking about your application repeatedly why it is why friends are the biggest reason for this to happen that you have to keep in mind that you do not write your post by comparing it with any similar post, you write it in your language Write in your language or if not at least 20-25 posts after submitting the application to Google Adsense. If you have taken photos from Google then first you do it by editing, whether you edit it from the photoshop or if you use mobile then you get a lot of photo editor, you can also edit your blog I can say that friends are friends like this, so I am saying that when Google checks your application, then all this thing looks very closely that it copied someone Ua is found to be copied if it is not. If your friends have copied anything on your block, it is found, then in any case, your application will not be approved. And one thing, according to India's rule, your blog should be at least 6 months old or your domain name should be at least 6 months old, Google Adsense says, but friends do not have anything if your domain name is 5 days old And your blog has 20 - 25 posts and direct links to Google come to your blog at least 100 to 150 visitors, you can apply for Google AdSense and you need to get very quick access Will to find friends. But friends sometimes do that Google Adsense mails you very late, whether or not your application has been approved, if not done, friends, then you are told through email that the reason why your approval was rejected. You can submit the application by improving it, but even if your application is rejected. Then you are told that for what reason you have been rejected your application then you can improve it and submit the application again. This means that Google's Google Adsense does not say that once your If the application is rejected then you can not submit the application again. We can improve and resubmit. So, friends, I told you that your Google Adsense application repeatedly shows the key. If you take care of all these things then you will never be able to rejoin the application and you will get Google Adsense Airplane approval once in a while. So friends just get the same thing in today's article. You have been taking care of yourself in the second post and take care of your family too. This article is most helpfull for google ad-sense account approval. Dear Sir, I want to contact please help me. Bahut achchha hai bhai aise hi karo..
Good Explanation i agree with you.